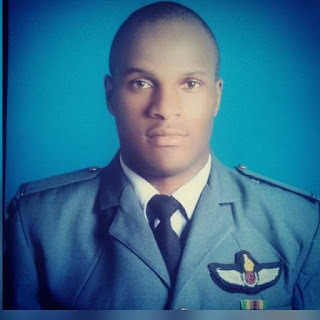 An Airforce of Zimbabwe pilot based in Gweru last night, November 25, allegedly killed his girlfriend after accusing her of dating his workmate, TellZim News has learnt. The case was reported at Gweru Central Police Station (RRB 3692653) by a nurse who attended the now deceased at Gweru Provincial Hospital. Police documents say that Tashinga Musonza (29) assaulted his girlfriend, Lucy Duve (32), after accusing her of cheating on him with George Mangwenjere, a fellow flight lieutenant with the Airforce. Musonza then began to brutalise Duve. Mangwenjere tried in vain to restrain Musonza and rushed to seek assistance from a colleague. When they came back to the scene, they found Duve unconscious and a team rushed her to Claybank Clinic where she was pronounced dead on arrival. By the time of writing, Musonza was due to appear in court.